Chicago Building owners are at the forefront of leading the nation with Green Certified Buildings, or LEED Certified buildings. LED lighting upgrades, and retrofits are now playing a big part in that success story, and is one of the easiest upgrades for building owners to improve on to become Green Building Certified. LED lighting upgrades also assists with building owners becoming more compliant as new legislation is introduced over the next year by local, state, and federal agencies. At M-Lite Solution we enjoy providing the latest LED technology to help building owners become more energy efficient. By improving the standards of LED lighting with M-Lite’s patented designs, we provide this Chicago Warehouse with brighter lighting, we create a cooler work atmosphere for their employees, and provide a maintenance free product for years to come that uses a fraction of the watts compared to less efficient florescent fixtures, and we do it without the mercury, neon, or UV Rays. Environmental sustainability starts with us making a change to better lighting, and M-Lite Solution is a premier provider of LED Technology World Wide. M-Lite will not only save you a significant amount on your energy consumption, but we will also provide you with superior illumination. M-Lite’s patented LED design will produce a brighter light, and a more Human Centric Blue Light (when 4000 to 5000 kelvin color is selected) that stimulates the mind to become more tasked focused, so that your staff can work at a higher level visual acuity, and out preform others that are working in dull yellow light designed in the 1950’s. To justify our Chicago Warehouse clients LED retrofit investment, we measure their return, and provide them with peace of mind, by offering a comprehensive Client Impact Analysis that measures, and quantifies the end results of our Energy Efficient LED Lighting upgrade based upon pre-process measurements, and information provided by the end users staff. 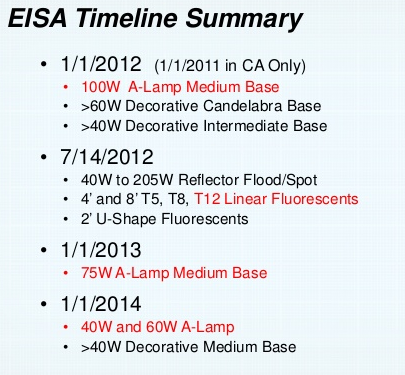 The overall goal is the complete success of our Chicago Warehouse’s LED Lighting upgrade. To that end, we have outlined an anticipated Return on Investment (ROI) in our analysis. 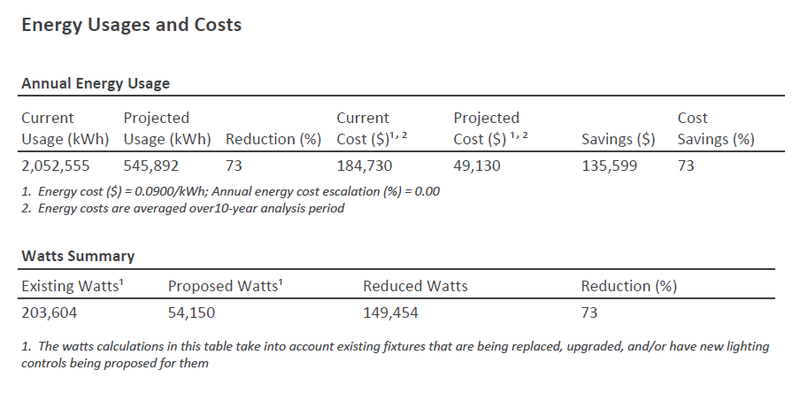 This analysis provides a baseline of expectations and the framework for our clients decision-making process prior to beginning their LED retrofit. 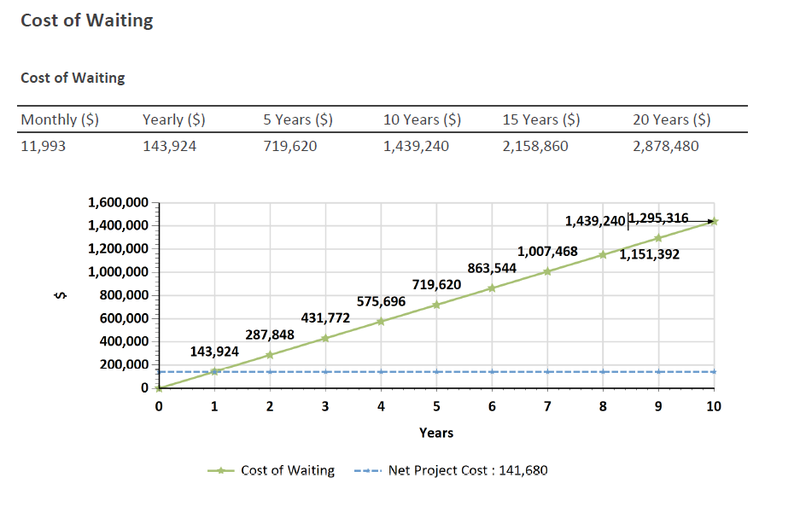 The “Cost of Waiting” graph aides in the decision making process, which normally factors energy, HVAC, and maintenance savings unless otherwise stated. From the charts below, you can see our Chicago Warehouse has an energy cost savings of 73%. Of course the real real reason many of us look at these reports is to see what the pay back period is. Our Chicago Warehouse operates 90% of its fixtures 24/7, which isn’t common for most commercial buildings, or warehouses. The pay back on our Chicago Warehouse is less than 10 months, and it is of little wonder why informed building owners are making the switch to LED technology in cities like Chicago all over the world. Because incandescent, florescent, and metal halides consume more energy, they are responsible for a greater amount of pollution associated with electricity generation, including the release of trace amounts of neon, mercury, sulfur dioxide and nitrogen oxide into the surrounding environment while you work under them. 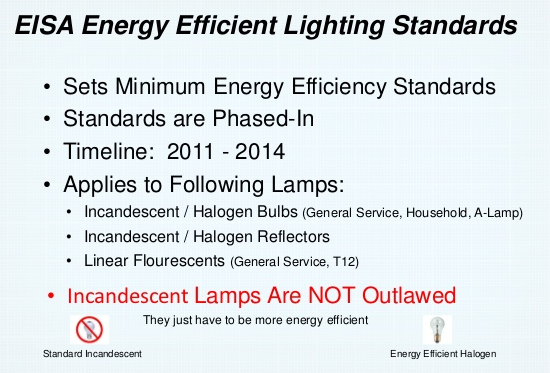 Do you really want children, or you peers exposed to these toxic outdated lighting products? Refer to the chart below for how much of an impact one Chicago Warehouse can make. 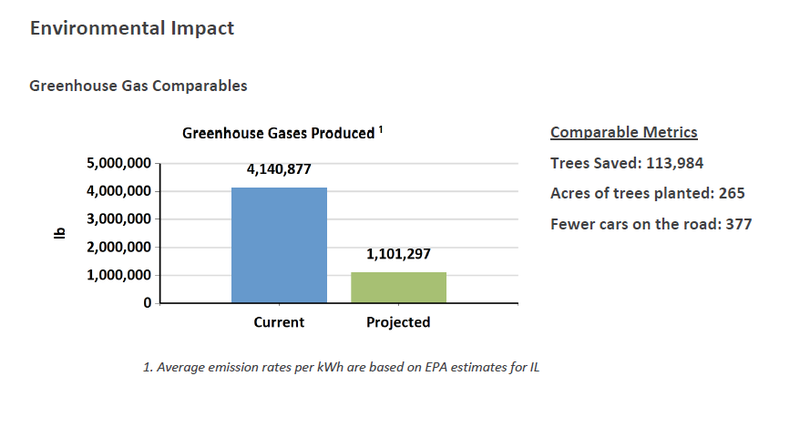 At M-Lite Solution we are passionate about assisting building owners like our Chicago Warehouse reduce greenhouse gases. Our patented LED lighting technology is among the most energy efficient lighting solutions offered on the market. M-Lite does this by keeping things simple, we provide brighter light that last, and uses less energy, but don’t take our word for it, see our client testimonials online at www.M-Lites.com. If you are a building owner, maintenance worker, a student, or just someone that wants to become an energy champion, and wants to save on energy, contact us at (630)290-1319. 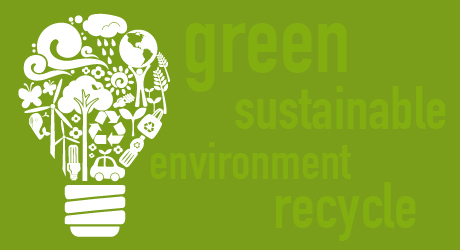 Together we can make the world green, one fixture at a time. This entry was posted in Chicago Warehouse case study, Efficient Lighting, EISA Energy Efficient Lighting Standards, EISA TimelIne, Energy Efficiency Lease, Energy Savings, Green Lighting, LED Light Bars, LED Lighting, LED Retrofit Kits, LED Troffers, The Earth is green and tagged Chicago Building Owners, Chicago Warehouse, Commercial LED Lighting, EISA, Energy Efficient Lighting Standards, Go Green, Green Building Certified, Green Buildings Chicago, LED Lighting Manufacturer, LED retrofit kit, LED Supplier, LED upgrade for a warehouse, LEED Certified, M-Lite Solution, SEDAC ILLINOIS, Twitch, UL approved, us green buildings.